Often we ask the saints for healing. Have you ever asked the angels for healing? The most brilliant of the angels mentioned in the Bible is St Michael. The Holy Church gives to him the highest place among the angels. She refers to him as “Prince of the heavenly hosts.” He is considered to be the guardian angel of Jesus Christ and the national guardian angel of the Israelites. We hear his praises from St Gabriel who, speaking to the prophet Daniel, says, “...but Michael, one of the Chief Princes, came to my assistance (Dan 10:13); and, “In all this, there is no one to lend me support except Michael your Prince” (Dan 10:21). St Michael belongs to the choir of the archangels, which is one of the lowest choirs by nature. Due to his outstanding zeal for the glory of God at the time of Satan’s rebellion he merited such glory and power that he excelled through grace the angels that belong to the much higher choirs by nature. There is a war described in the twelfth chapter of the Book of Revelation. This is a war carried on against the woman and her child by the Dragon and his angels. By the ‘woman’ is meant in the first place the Church, but in a symbolic sense Mary. St Michael took part in this battle and finally the Dragon was cast out. A dragon symbolises the Devil, and hence Satan. St Michael never ceases to wage war against his and our enemy. We find St Michael in many books of the Bible and in the lives of many saints. They encourage us to pray to him and to be under his protection. 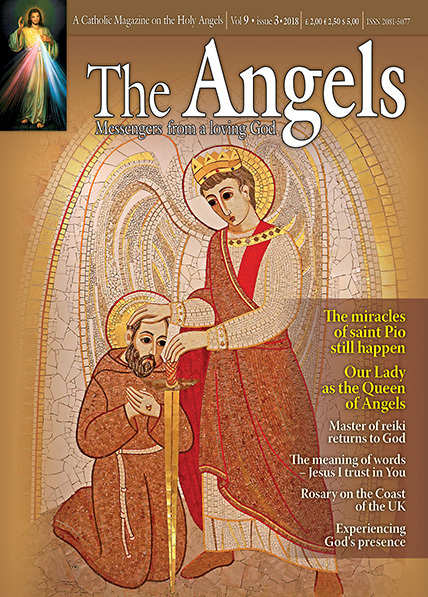 For example, St Francis de Sales wrote, “Veneration of St Michael is the greatest remedy against despising the rights of God, against insubordination, skepticism and infidelity.” That is why when we feel strong temptations and we tend to give in to them, we should turn to St Michael the Archangel and ask him for help.